Avery turned six, sort of happily? We ate a LOT of cake and didn't complain about it one bit. My little lady got her American Girl doll and all is right with the world. Then shorts because it got H-O-T! I got these booties and am totally in love with them. The price is right and they go with everything! That's what's been going on! Don't forget to follow me over at @thebloggercloset on Instagram through tomorrow! Love Avery's face in that first picture! Yay for an American doll. Love the booties and the blue shorts- I'm ready for the weather to decide if it's going to stay hot or cold. I love the camo pants! Where from? Thanks girl! They're from Gap, last year! She is so cute with her doll! Avery's facial expressions kill me haha, she seems like she's a trip :) loving the boots and those two outfits are beautiful!! Love your camo pants and those booties! Gorgeous! And I feel you on the hot thing... it's still really hot here too! And happy birthday to Avery!! those booties are just fabulous! 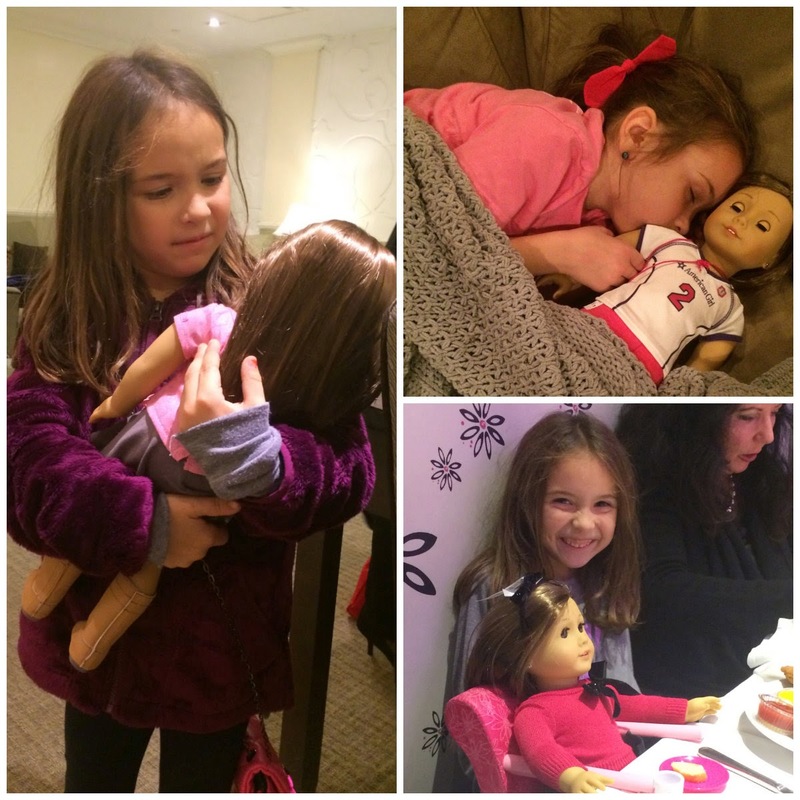 American Girl is the jam! Taylor just grew out of it. She threw the holiday catalog in the garbage yesterday when it came. She is officially a tween now. Enjoy your years of matching doll outfits! I actually have tons of stuff if Avery wants? I will ask T first before I give her stuff away but I have a carrier and all kinds of outfits. I will let you know. Ahhhh... american girl--- if you let it, it can cost you a small (or maybe large) fortune.... THe little girls love them so much though!! Hi! I'm a new follower. I love your blog design and your kids are too cute.